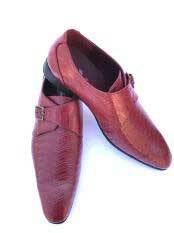 Men's accessories are as important as the outfit. 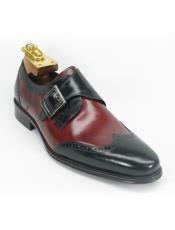 Men's accessories complete the overall look and appearance. 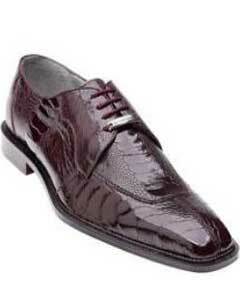 There also goes a saying that every man is judged by the kind of shoes he wears. 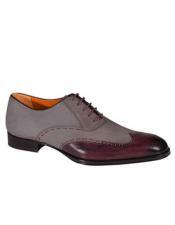 Hence it is highly important that you pick the right kind of shoes for your outfits. 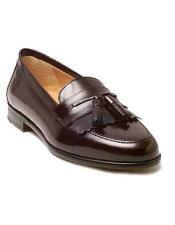 Men, who are pretty conscious about the formal shoes that they wear, often prefer to wear them in common colors like black and brown. The myths that black and brown shoes will match well with any other colored outfit makes them buy these shoes in common colors. 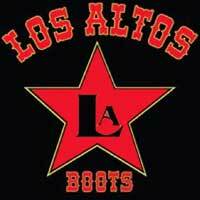 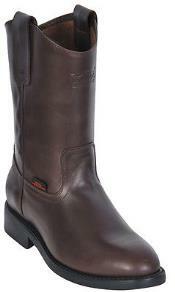 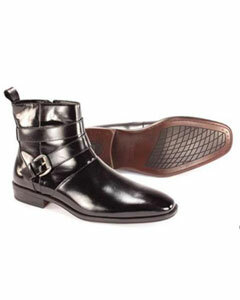 But men's footwear style and trend is taking a huge leap in terms of fashion, design pattern as well as color. 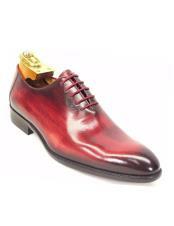 When it comes to color of the shoes, you can find different and unique color options that are never seen before. 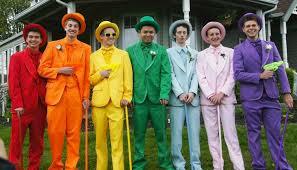 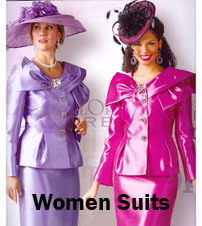 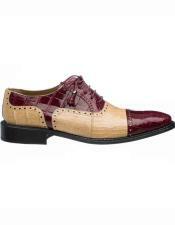 These colors are stylish and look great when worn with formal as well as casual wear. 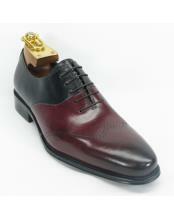 Burgundy dress shoes - Have you ever heard of men's shoes in burgundy color? 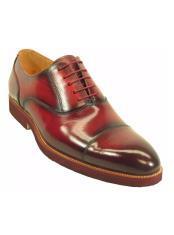 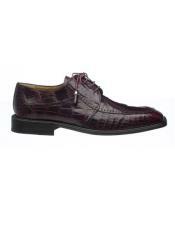 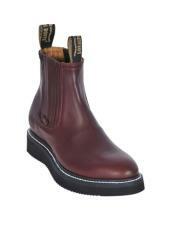 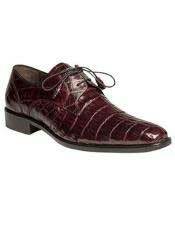 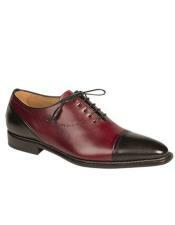 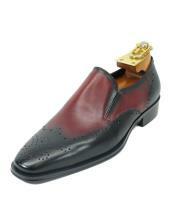 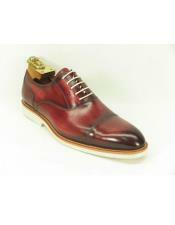 Well men's burgundy dress shoes are the new and latest fashion followed by men. 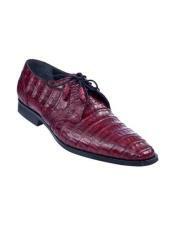 One might wonder what a color like burgundy must look like in men's footwear. 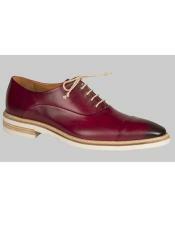 These Burgundy men's dress shoes are similar and in resemblance to the men's maroon dress shoes. 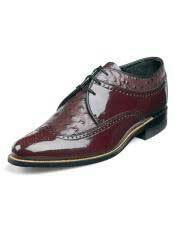 Burgundy and maroon colors are more or less the same shade. 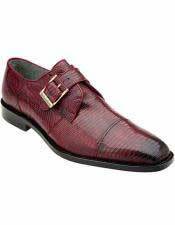 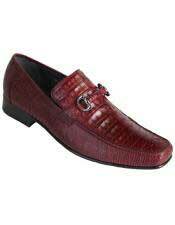 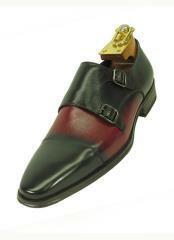 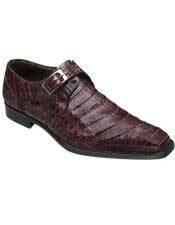 You may also refer the burgundy dress shoes to wine colored men's dress shoes. 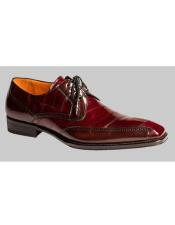 Burgundy can be resembled to wine color, maroon color or even to the darkest shade of red color. 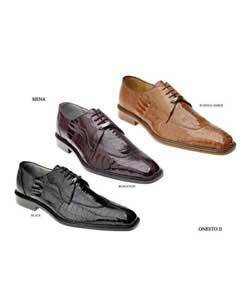 Men's shoes are made of different kinds of fabrics. 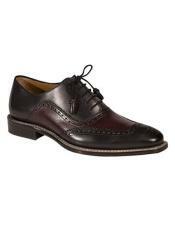 If you are interested in a proper formal dress shoe, then you may consider leather shoes which completely enrich the formal look. 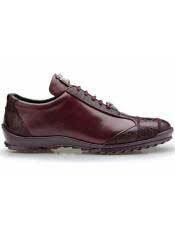 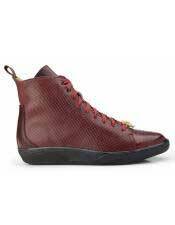 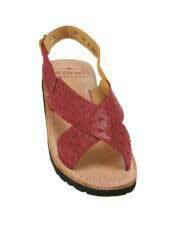 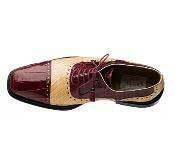 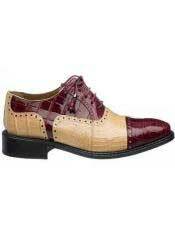 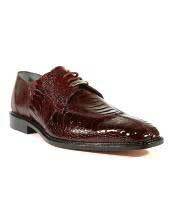 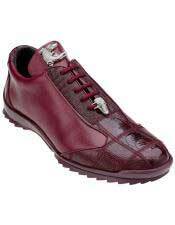 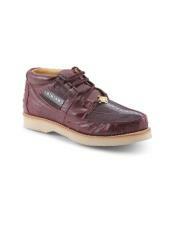 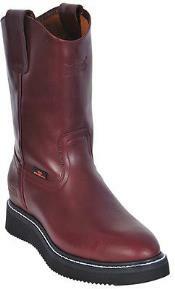 Burgundy leather shoes come in different types of leather fabrics like alligator skin, snake skin, lizard skin and so on. 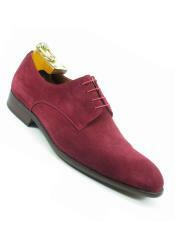 Whereas if you are looking for casual wear in men's shoes then you may go for mens burgundy suede dress shoes. 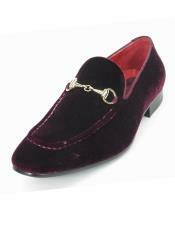 The suede fabric looks velvet like and gives a highly sophisticated and polished appearance. 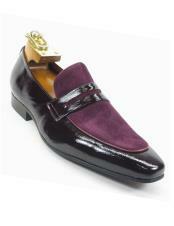 You may pair up a suede fabric dress shoes with classic casual look. 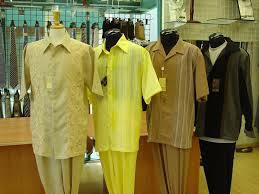 Mensusa is the one stop shop to buy men's clothing and related accessories. 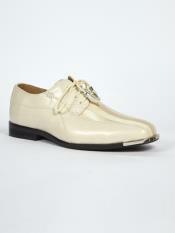 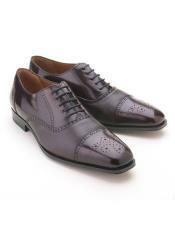 You will find best quality dress shoes for men online at Mensusa. 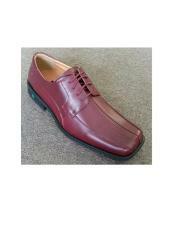 Browse this category to shop for high quality burgundy dress shoes for men. 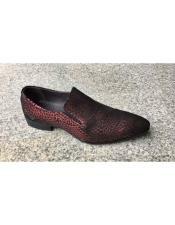 You will find all shades of burgundy dress shoes, all men's sizes and wide range of options available in the shoe fabric. 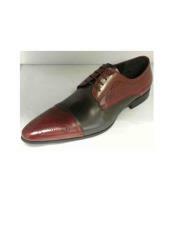 Burgundy dress shoes or wine colored shoes or men's maroon shoes, you will find them all at our online store. 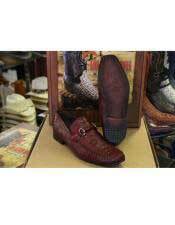 Our men's footwear are crafted in high quality fabrics and hence shoes purchased from our online store are long lasting and durable.